Join fashion photographer Giuseppe Circhetta in Milano on a two day glamour and editorial shooting with fabulous models. This weekend workshop will teach you using various lighting techniques, communication with models, retouching and more. Complete info here. The Nikonians forums are bursting full with content on Nikon and more. 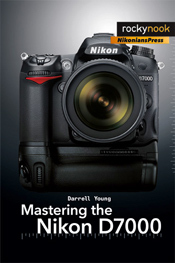 No matter if you are looking for info on the Nikon D7000 or how to shoot models, you will find answers there. Over hundred forums available in three languages! English, German and French. Visit the Nikonians forums. One of Nikon's best-selling camera models, the D90, has been discontinued, replaced by the newer D7000. This model is prized for having set many new standards within the DSLR family, low weight, excellent noise characteristics, superb image quality, all at a very reasonable price. B&H Photo Video still has a few units left, so grab them while you can! If you are looking for that perfect gift for Father's Day, you might want to check out some of the bargains currently available from our Corporate Partners. ▪ Tamron's Father's Day Special: $50 Mail-In Rebate now available for a limited time only (June 19-20) on a Tamron 18-270mm Di II VC PZD 15X Zoom Lens model B008 from an authorized Tamron USA dealer. ▪ Berger Bros. Camera is currently highlighting a 5% discount plus free shipping on all Gossen and Sekonic light meters. If you are still not sure about the benefits of using a light meter check out this article by Berger Bros. Camera class instructor Dan Neri. ▪ Roberts has been keeping up with their heavy demand for the AF-S NIKKOR 50mm f/1.8G and the refurbished AF-S VR Zoom-NIKKOR 70-300mm f/4.5-5.6G IF-ED lenses. If you are a Silver, Gold or Platinum member, don't forget that in your personal Rewards section you have two Roberts lens specials currently active. 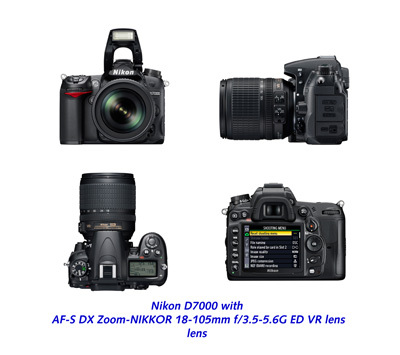 ▪ B&H has unveiled a new Nikon DSLR combo-rebate program brimming with bargains on Nikon Cameras such as D7000, D300s, D5100, D3100, D90, and D3000. The B&H Buy Together & Save Page gives you options on which lens you want to bundle with the camera, featuring savings ranging from $100 to $250 (depending on your choice). Congratulations to Silver member Paul Papanek (paulpap), winner of our New Members Welcome Photo Contest – Phase VIII. 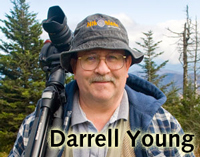 Paul is a California, USA resident who favors travel and lifestyle photography and his winning image was captured while he was on a trip to Mexico. It was taken with his Nikon D200, with an AF-S DX VR Zoom-NIKKOR 18-200mm f/3.5-5.6G IF-ED lens using an f/4.2 aperture, 38mm focal length and 1/200 second shutter speed. He used Aperture-priority AE and an ISO of 400. Paul's entry marks his joining as a Silver member last month (following a very brief visit to the community five years ago). The title of image says it all: "I was so handsome." 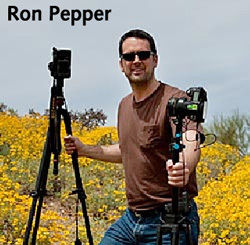 Paul tells us: "I've been shooting for Cabo Living Magazine for the past four years. In addition to traveling to Baja to shoot for the magazine, I travel all over Mexico. 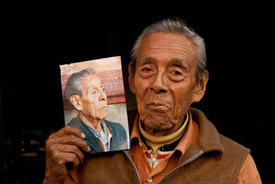 I was on a trip to Puebla when I happened upon the incredible man in this photograph. He is incredibly handsome, but wanted to show us how much more handsome he was in his youth. He retrieved a photograph, and I made the picture of him holding it up. It was a wonderful, touching moment." 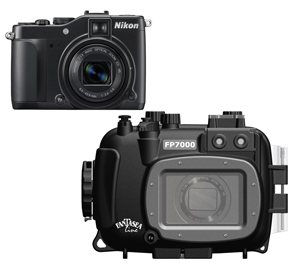 As winner of the contest, Paul's prize is a Fantasea FP7000 Underwater Housing for the Nikon Coolpix P7000, courtesy of Fantasea (currently valued at $599.95 USD). Our friends at Fantasea describe their new housing as ideal for all outdoor and watersports photography, especially for underwater photographers. It is depth rated to 60m/200 feet and is fully functional with ergonomically designed and labeled controls.